FESTO is a leading world-wide supplier of automation technology and the performance leader in industrial training and education programs. Its aim: maximised productivity and competitiveness for our customers. 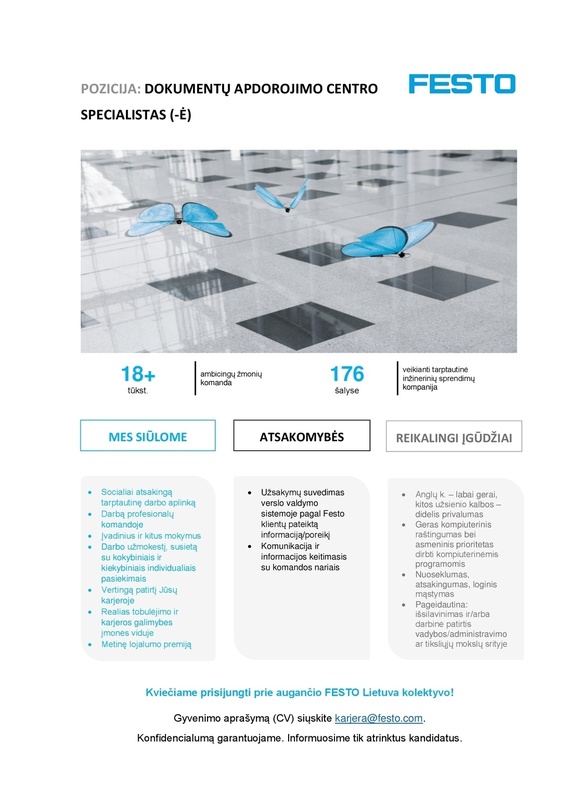 FESTO Lithuania under the status of a limited liability company have more than 270 employees. FESTO Lithuania is doing activities in Sales, Product management, Engineering support, Marketing, Business Assistance, IT, Financial and Document proccesing services.